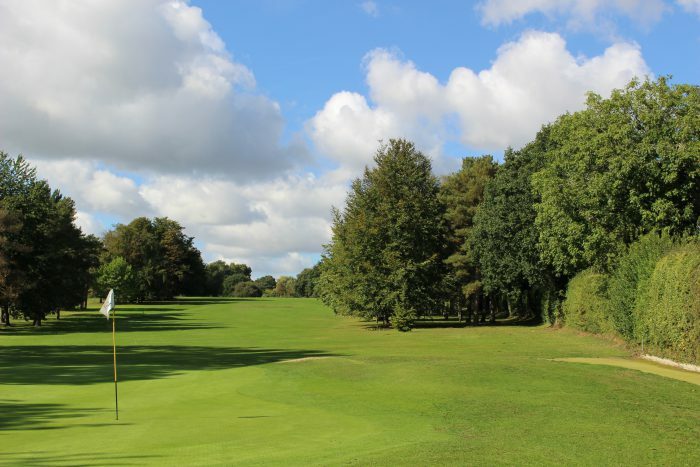 Founded in 1910, Eaton Golf Club, located just one mile from the centre of Norwich, is described as an oasis of beauty and tranquillity set within walking distance of a city centre. 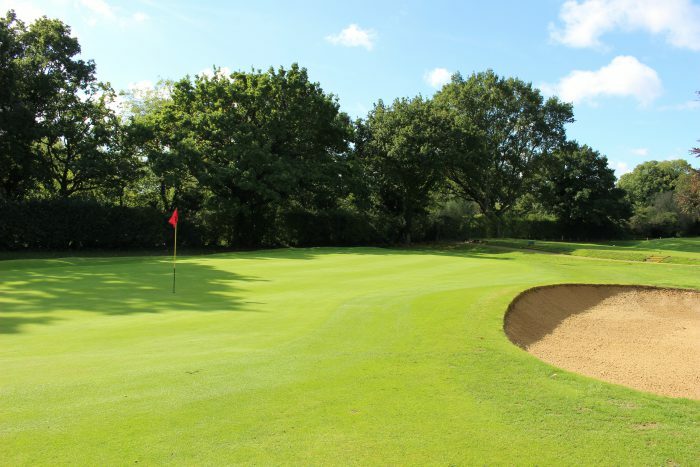 Designed by four-times Open champion JH Taylor, the course is a challenging test for golfers of all abilities. 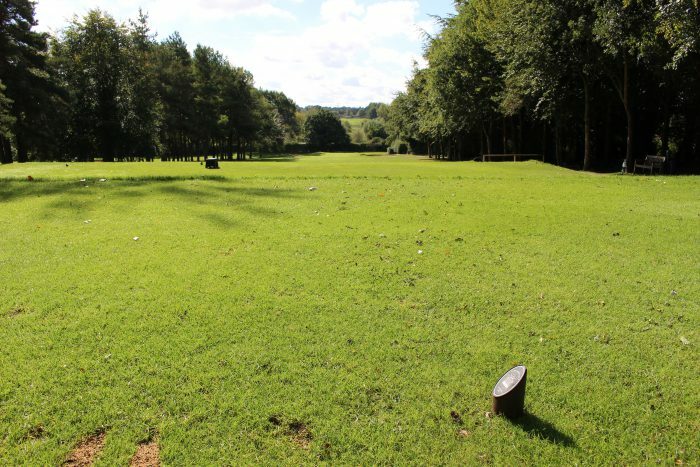 It is an attractive parkland course, extensively tree-lined and it demands accurate and intelligent shots, especially off the tees. 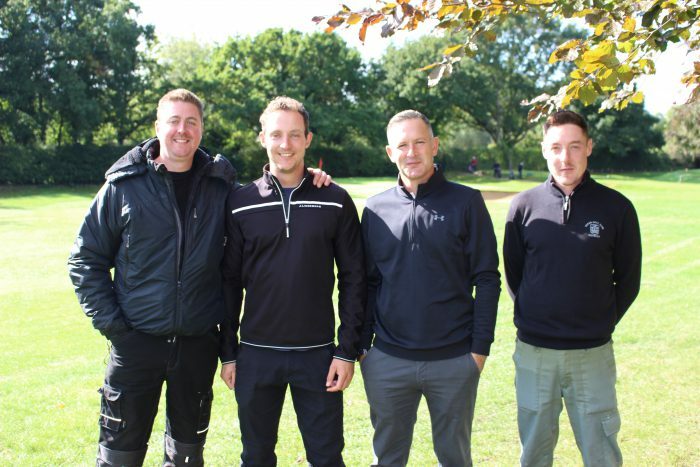 In 2017 the club was twice featured on ITV News; both stories were about elderly members, one 90, the other 100, who both stated that playing golf regularly at Eaton is one of the keys to their longevity. 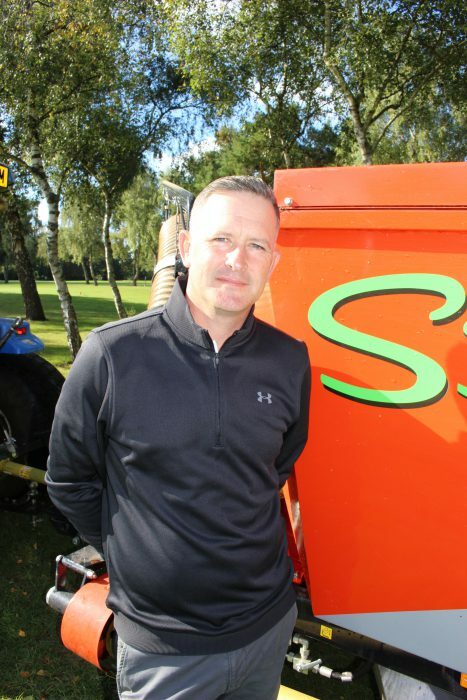 We speak to the club’s course manager, Rob Ransome, about the challenges involved in maintaining such an important and picturesque venue. “We are a very busy club, so time management is essential,” he explains. “Working together and as efficiently as possible allows us to achieve what’s expected from our members. He provides tips about what he does to ensure his course is the standard it is. 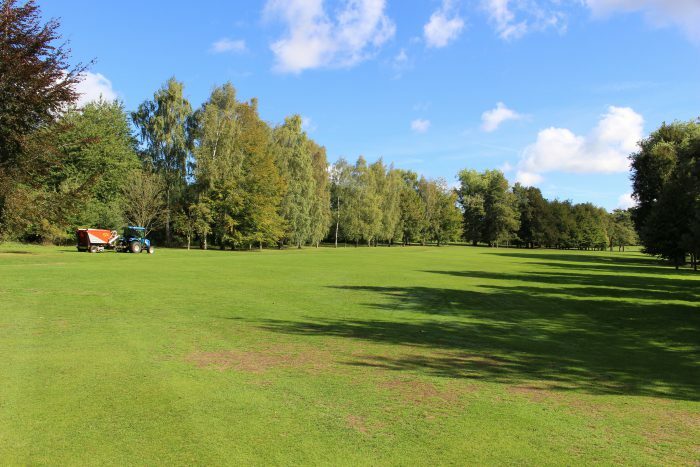 “Aeration consists of 8mm solid tines through the summer months moving up to 12mm between October and March. 12mm hollow cores are used in September and April, with 8mm cores used between May and August,” he details. “We are working on exchange and thatch removal to increase greens’ quality. The greens here can get very saturated in the winter, so we’ve moved over to straight sands going little and often through the summer and heavy when coring. 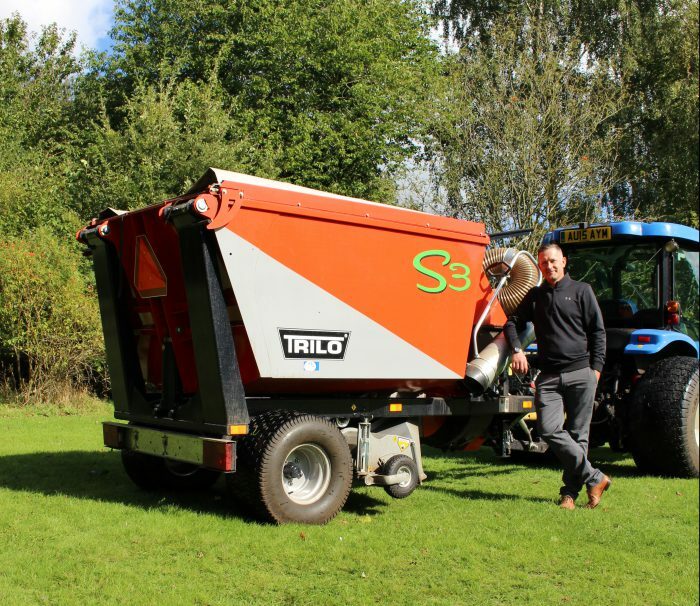 Over the last 12 months we have applied 110 tonnes, but our target is 160 tonnes. 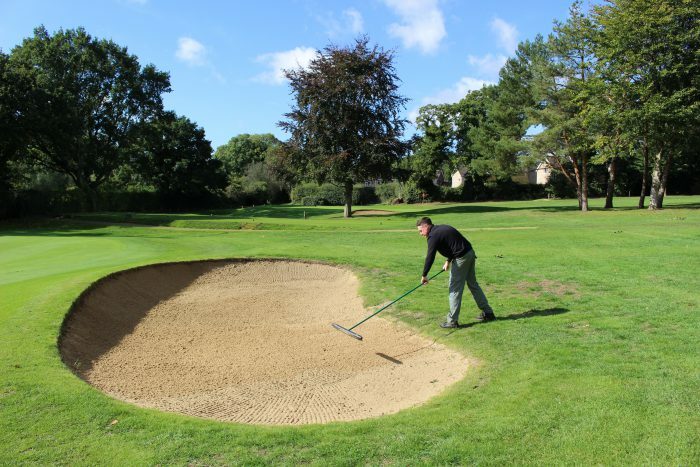 “It is important for us to remove as much thatch and layering as quickly as possible, but also to give the members consistency in greens’ quality. This year it has been a case of looking at the diary and finding a window with regards to coring so, one months’ notice has been given, but going forward we will be putting any disruptive renovations in the club diary at the beginning of the season. With a number of trees across the course, Rob also details the extra work this leads to. “All of our work on the trees has been done in-house,” he says. “We have a very good tree surgeon on the team. He has trained the team on pruning techniques and last year we started raising the canopies and removing the crowded / unhealthy trees. “Some of the trees on the course have been planted just two or three feet apart. When I arrived at Eaton there was a tree management plan which has now been updated to include a more strategic plan, where we are looking at the species, age and location of the trees and what impact they would have on the holes if they were lost. Going forward, we will be utilising some of our trees and moving them with a tree spade to strengthen other parts of the course. Rob also details the club’s approach to irrigation. “Our irrigation system is 33 years old with a mix of gear driven and valve in head sprinklers. It started as a Watermation system but many of the sprinklers have been replaced with Rainbird,” he says. “It’s had numerous add-ons over the years, and there is no holding tank, so we really struggle for pressure on some parts of the course. “We have invested a lot of money in the system this year just to get it working as efficiently as possible. “Going forward a new system is required – one designed around the course we have today and not the one we had 33 years ago. This year was a massive test for the system which worked alongside staff hand watering to keep areas alive. We extract from a bore hole that has an allocation for use between April and September. What about Rob’s approach to team management, as well as course management? “I appraise the team yearly and part of this process is knowing what their particular skill sets are. This allows me to work on their strengths, as well as any weaknesses. I like to have a team with diverse skills as they can make the work they do their own and take pride in what they do,” he explains. Finally, Rob also details how he communicates with the club’s members. “I work hard on communication via bi-monthly blogs, course walks and presentation evenings,” he says. “I believe this creates a bond with the members and a trust that we are there to create the best possible surfaces, and the work that we conduct needs to be done – and done for a reason.